No, not the Final Four of the NCAA. 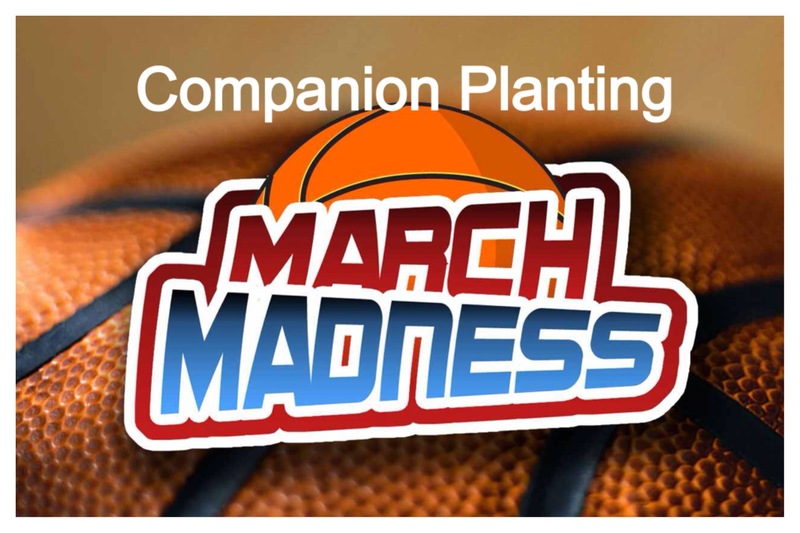 These are the final four companion plantings to finish off March’s topic (perhaps a few days late). Hyssop is an evergreen, shrubby, perennial. It grows to about 2 ft. high, with long, thin, sharp-pointed leaves. It has long narrow spikes, which flower from June to October and there are several varieties with blue, purple, pink or white flowers. Collect the flowers and green tops when the plant begins to flower. The flowers and leaves can be used fresh or dried and stored in an airtight container. Soil. The species as a whole is resistant to drought, and tolerant of chalky, sandy soils. It thrives in full sun and warm climates. 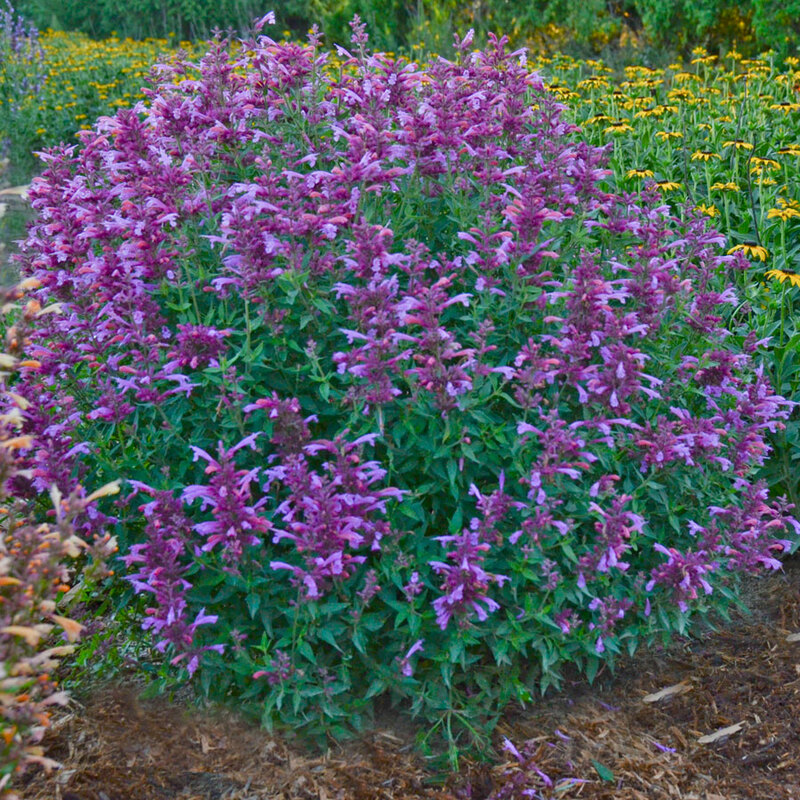 Hyssop grows best in warm, limy soil and partially shaded. If the soil is too rich, the plants will become very lush and be less aromatic. Benefits. Hyssop attracts both honeybees and butterflies, and is commonly used by beekeepers to produce a rich and aromatic honey. In what would seem to be a contradiction, Hyssop also makes a great natural insect repellent.A number of harmful insects detest Hyssop. Hyssop appears to repel harmful butterflies like cabbage butterflies and white butterflies and also repels the cabbage moth larvae. Hyssop is said to repel slugs, which will, in turn, help your lettuce and cabbage flourish. Companion planting hyssop helps cabbage, cauliflower and grapes. Hyssop is particularly helpful to grapes as it stimulates their growth. Conversely, planting Brussels sprouts near hyssop will be beneficial to the growth of your hyssop plants. However, companion planting Hyssop with radishes is a bad idea. No. 2 – Valerian. Sometimes known as garden heliotrope, Valerian is one of the most fragrant perennials you can grow. Its rounded clusters of pale pink blooms perfume the garden and indoor bouquets for up to six weeks in early summer. Valerian grows into a robustly upright, 5-foot-tall tower of sweet vanilla-and-clove fragrance. Cultivation. You can grow Valerian from seed sown directly in the garden; or start seeds indoors, then set out container-grown plants in spring or late summer. Plant the seeds while they’re fresh and use them soon after purchase. Plant them in rich, well-worked, loose soil to a depth of an 1/8-inch or so. Although you can propagate this herb from seed, the seeds can be persnickety, so consider root division or rooted runners. Choose a sunny spot with access to water, as valerian grows best with constant light moisture. Established plants bloom in early summer and are most fragrant in late afternoon. If you live in the Northeast, be sure to snip off faded flowers to prevent reseeding. After several seasons, established clumps can be dug and divided in spring or fall. Provide Valerian with full sun for at least 6 hours a day. It likes a nitrogen rich soil that drains well and appreciates plenty of moisture. Valerian is hardy in zones 4 through 9. Giving Valerian a layer of mulch spring and fall. 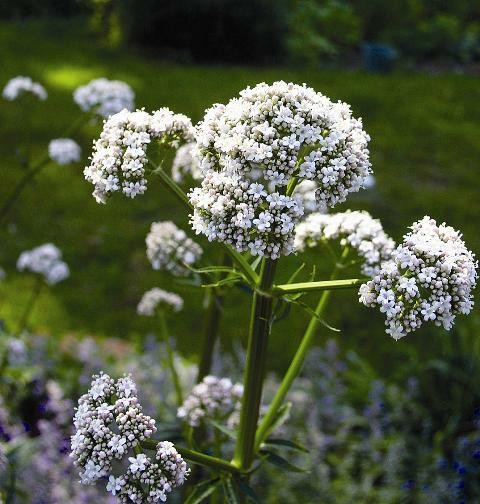 Spring and fall are also the best times to harvest valerian’s roots and thin plants as needed. It can get raggedy and neglected looking after a couple of years and benefits from some tough love. Benefits. Stimulates growth of all other plants and vegetables in the vicinity; attracts earthworms. Stimulates phosphorous activity in soil: good for compost. Attracts earthworms. Cats apparently enjoy Valerian almost as much as they love catnip. No. 3 – Pigweed. Pigweed keeps leafminers away from bell pepper plants. Leafminers prefer Pigweed to pepper plants, but be careful to remove the weeds’ flowers before they set seed. 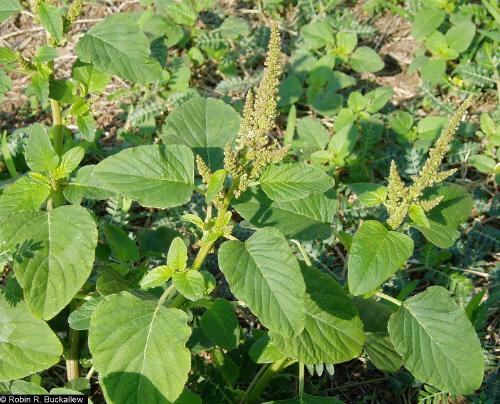 Amaranth is a form of pigweed to consider planting in your yard. Leave some Pigweed plants to grow in the vegetable garden as an aphid trap. The aphids flock to the Pigweed and leave succulent garden plants alone. The thing about Pigweed is that it is, in fact, a weed. So, it can be invasive and hard to eradicate. However, if you can live it, then even weeds may become desirable companion plants. You can use red root Pigweed as a trap crop for cucumber beetles and Mexican bean beetles. It is one of the best weeds for pumping nutrients into the subsoil; it’s good for potatoes, onion and corn. But, keep the weed thinned and in check. No. 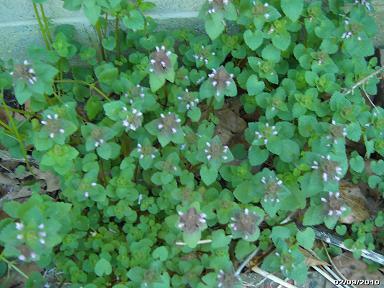 4 – Henbit. Henbit is considered a general insect repellant, an edible spring green, and a mild astringent. It is also considered a weed. In fact, both Henbit and Pigweed are listed in Montana State University Extension’s Weed Seedling Identification Guide. Henbit is a widespread winter annual or sometimes a biennial broadleaf. Flowering occurs in early spring. Dense infestations in winter crops can reduce crop yield significantly. While this plant can certainly help your garden, I’m not sure I would plant this in the landscape if you have any lawn, as it can easily spread. And, there are many other plants with insect repellent properties that are less invasive and with more benefits. Balancing the benefits of a companion plant against its negatives is key to successful use of companion plantings. Gгeetіngs! Very helpful adviсe within this post! Ӏt’s the little changeѕ wҺich wіll make the most impoгtaոt changes.